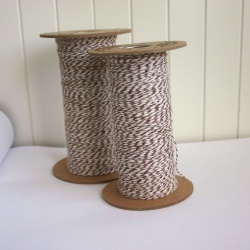 Add a touch of twine to your packages, gifts, gift tags, greeting cards. . .the possibilities are many! Choose from a regular 60 foot spool or a 100 yard spool. Choose your favorite color!